Fossils are the preserved remains of animals, plants and bacteria. Usually, the remains are considered fossils if they're older than 10,000 years. Fossils can vary in size from microscopic bacteria to enormous dinosaurs. The most typical fossilized remains are vertebrate teeth and bones and invertebrate exoskeletons, though sometimes include traces such as footprints. Fossils are very rare because most living matter decomposes quickly. The most common forms of fossilization are casts and molds, trace, petrification and micro-fossils. In many instances the original, organic remains of an organism are destroyed by natural processes over long periods of time. Sometimes, if the remains became encased within rock, a hole can be left in the shape of that organism. This type of fossil is called an external mold. If the hole is ever filled in by other minerals, it is called a cast. Other times, minerals can fill an internal cavity of an organism, such as a skull, and create an internal mold of that part of the organism. A trace fossil is made in a rock by an organism during its daily activities. Trace fossils include the remains of activities such as burrowing, footprints, teeth marks, feces and cavities left by plant roots. 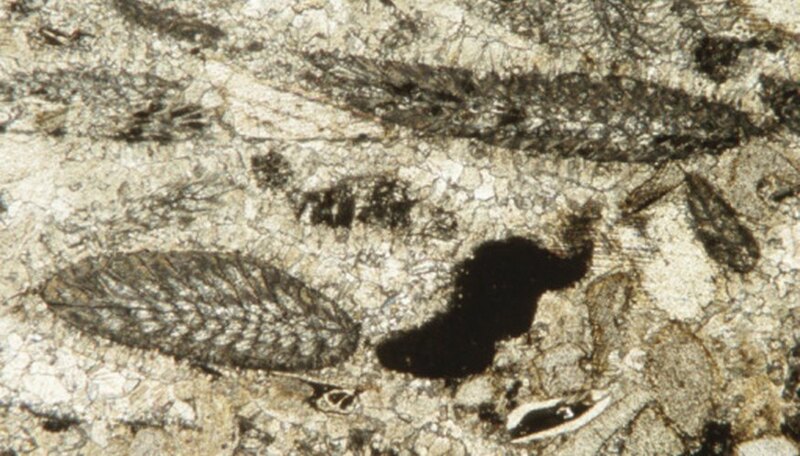 These fossils are usually created in sandstones due to the size of the grains in the stones. These fossils act as evidence of life in the past and give a record of activity of an organism. Some trace fossils provide information as specific as the speed and weight of the organism that produced them or how wet sand was when the trace impressions were being created. Petrification of an organism can occur in a couple of different ways. The first of these is permineralization, a process where there is a constant flow of water through some remains that leaves minerals behind to harden within dead cells. An example of permineralization is petrified wood. The other process is called replacement. Fossils formed by replacement form when water dissolves away dead tissue and leaves minerals in its place. An example of a replacement fossil is a prehistoric seashell. Micro fossils are plant or animal remains that are microscopic in size, generally less than 1 millimeter in length. They may be either small organisms, such as viruses or bacteria, or small bits of larger plants or animals. 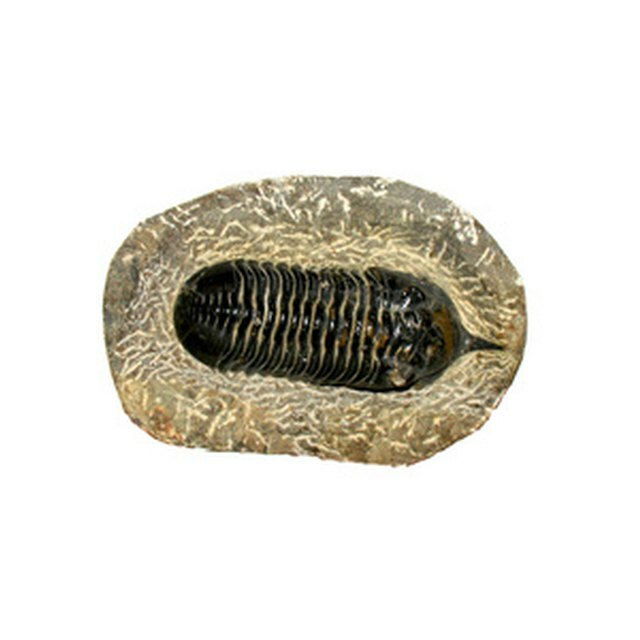 They're considered to be the most important group of fossils since they are useful in dating surrounding rocks and other fossils and are the most numerous and accessible of all fossils. What Is a Preserved-Remains Fossil and How Are They Formed? Braybury, Luc. "Fossil Types." Sciencing, https://sciencing.com/fossil-types-8218408.html. 24 April 2017.